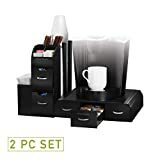 Keurig is a well known brand for its huge range of single serve coffee makers and is almost present in all countries where coffee is well consumed. The machines been produced differ in brewing capacities, brew cycle, ease of use, automation of work etc. One product among this range is Keurig K145 OfficePRO which has gained good popularity in offices as well as at homes. It is built using heavy duty materials that can cope with a lot of daily use and can give the output in less time. With descent sized reservoir and different brew size, this machine is a great fit for any place. So, if you are seeking some quality Single Serve Machine that is durable in all aspects, K145 is the one to go for. Here, we will be having a thorough look on the Keurig K145 which was built keeping offices and commercial places in mind. Most of the Keurig machines look a lot similar to each other and can be called as brothers or sisters of each other. The brand inherits the same look to every machine as the design is practical and a very successful one. The left side of machine is the large 48 oz water reservoir to handle multiple uses at once. The control panel can be easily absorbed and is very simple to operate too. The machine is described as a “Commercial Grade” brewing system. 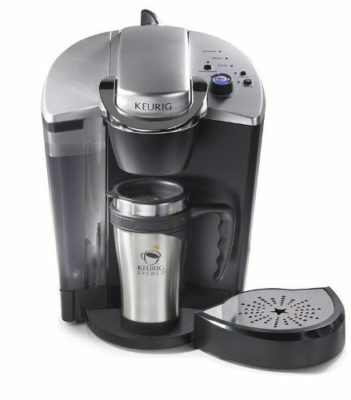 The difference between it and the “Home” version brewing systems are: The Office units has heavy duty power cords, and heavy duty pumps whereas most Keurig Home models are now having what is called “Quiet Brew Technology”, and as the name suggests, are much quieter than the Office models. The main reason behind being quieter is that they have smaller/weaker pumps. Many people have complained about them failing prematurely. The K145’s pump is quite loud and can scare your pet but that indicates the stronger pump inside that is going to do the job for you. 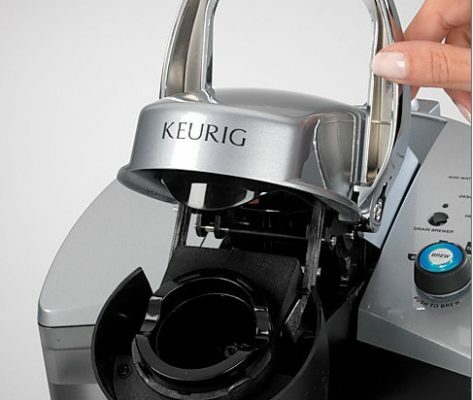 Keurig’s are all built to perform fast with less fuss using pods. The pods are now available in large varieties and flavors to suit everyone’s taste and mood and thus eliminating the possibility of bad tasting coffee. 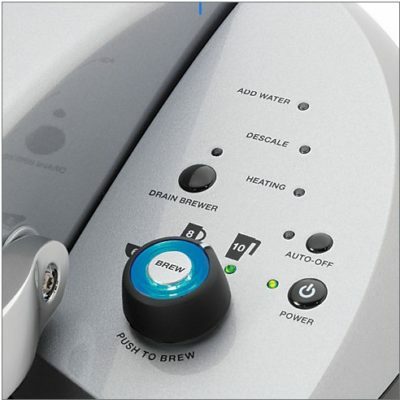 The brewing technology is great that gives a nicely brewed cup every time in just a push of a button. The coffee is much hotter as compared with other Keurig models and it’s brewed perfectly. So, if you are looking for a machine that serves great coffee in lesser time without any fuss, Keurig’s are the answer and this K145 OfficePRO is a jewel among them which is both durable and feasibly priced. The Keurig K145 is a great pick from the Keurig 2.0 range and makes a great cup of coffee every time consistently and we have a wide variety of flavors to choose from. Grab a variety pack to find your favourite flavors. Overall, for this price tag it’s a great buy as it reduces a lot of time in coffee making and then cleaning up all the mess; spend this saved time with your dear ones and make them feel loved. So if you are looking for a machine that gives a descent cup of coffee in short spans, this might be the one what you are looking for. Don’t take this as a perfect machine, but for this price, it’s a steal and is also included in our Collection of Keurig Coffee Makers. It’s durable and can long last on your counter without much to look for.